The flagship store for Outside Hilton Head (OHH), at the Plaza in Shelter Cove on Hilton Head Island, SC, is even busier than it looks. 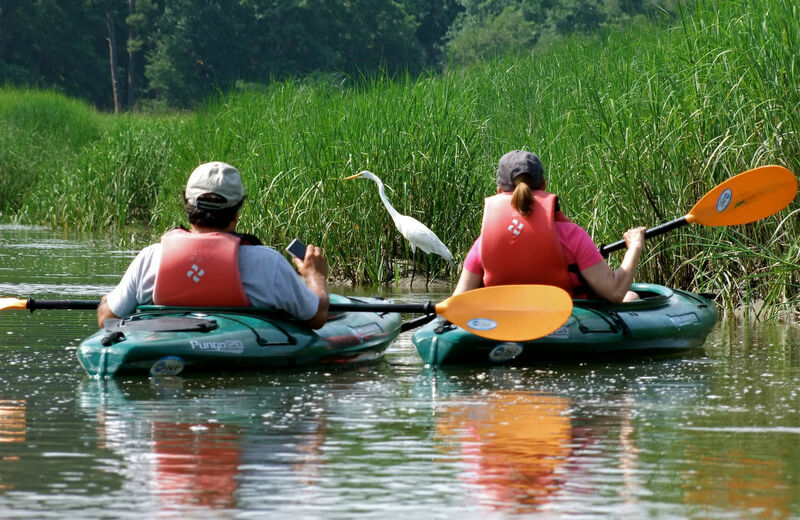 While rental kayaks, stand-up paddleboards, and bikes go in and out all day, the store serves as the source for outdoor apparel and paddlesports gear for visitors to the Carolina Lowcountry. More than that, OHH staff—which swells to some 90 people at peak season, including at the Palmetto Bluff location in Bluffton—provide on-water instruction, captain boat tour,s and serve as camp instructors for kids over the summer. 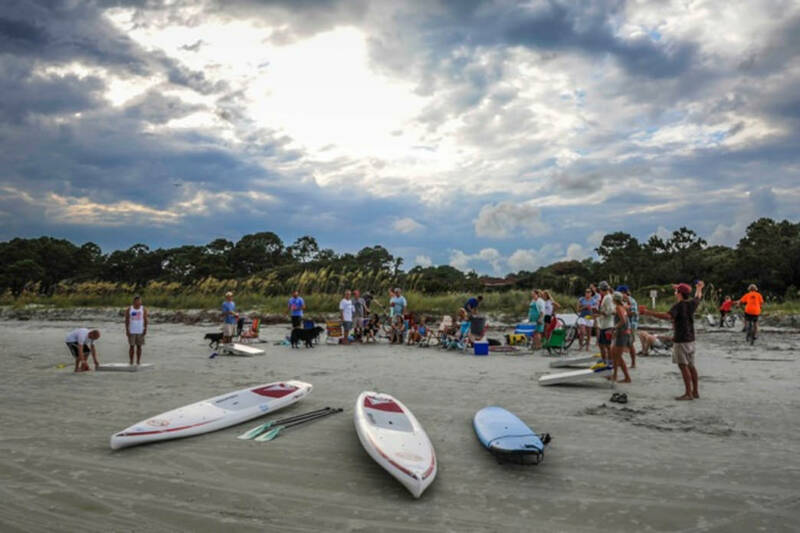 Although Hilton Head Island itself is only 12 miles long and five miles wide, it has more than its share of sandy beaches, oceanside resorts, golf courses, and tennis courts. OHH provides the means to venture beyond the confines of the island and into the marshlands and uninhabited island chains teaming with wildlife. 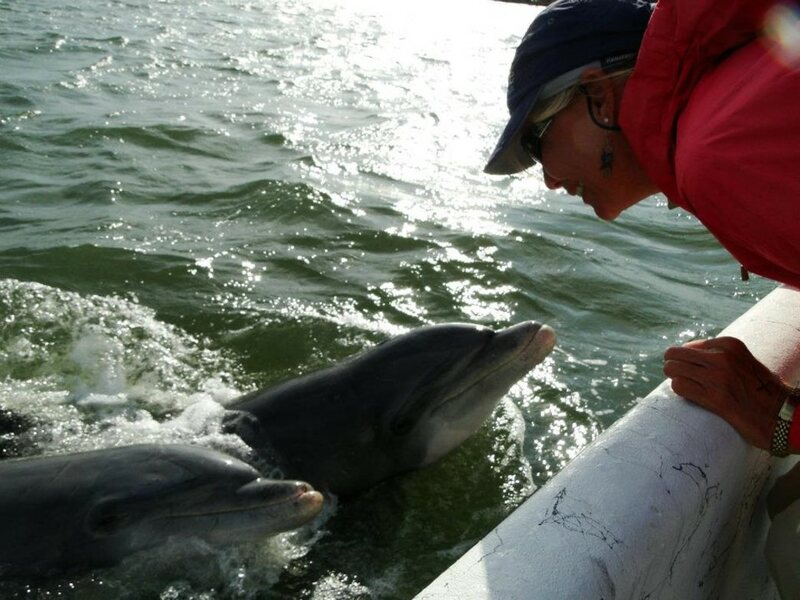 OHH offers as many as 50 programs 365 days a year, including kayak and charter fishing trips and boat-based dolphin tours within the Pinckney Island National Wildlife Refuge. Some programs utilize the remote and secluded Outdoor Experiential Learning Outpost on Page Island, Outside’s 30-acre private island. Local businesses, professional sport teams, and half the companies listed in the Fortune 100 take advantage of this special spot as well. Mike Overton—who planted the seed for OHH in the form of a windsurfing school in 1979—has personally facilitated more than 500 corporate team leadership events. While Outside Windsurfing remains the legal name for the company, OHH offers everything but windsurfing today. But, Outside Brands, the umbrella entity for the company, does run a foundation focused on environmental conservation of the coastal region the recreation programs showcase, Overton said. To plug into the primary hub for all Outside activity, visitors head to the retail store at Shelter Cove. Most group sales and meeting planners use the conference center there, added Wray. Most program and tour reservations are book through the main office. OHH has on-water and land-locked locations, both of which facilitate the rental of kayaks, SUPs and all other necessary equipment (paddles, PFDs, straps, rack pads and kayak carts). Staff provide door-to-door transport of their gear to resort guests as well as basic instruction. Hourly and daily rentals are available for single and double sit-inside and sit-on-top kayaks, universal and performance/race SUPs, and surfboards, as well as beach cruiser bikes, tandem bikes, and tag-alongs and kiddie carts. The stores also sell clothing, footwear, sunglasses, beach games, jewelry, and locally made artwork. This content was produced for your enjoyment, thanks to a partnership among Outside Hilton Head, OSM, Osprey Packs, Chaco, and RootsRated.